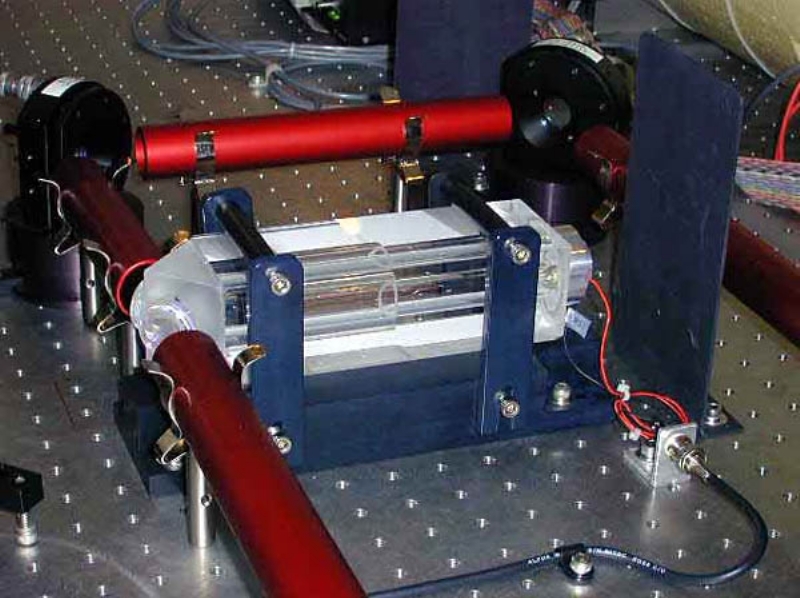 KineOptics fabricated 12 of these for the Pre-Stabilized Laser at LIGO. It consist of a main cavity block of fused silica and a prism body also of fused silica. Very tight linear and angular tolerances were maintained and even the bores had to be polished along with the sides. 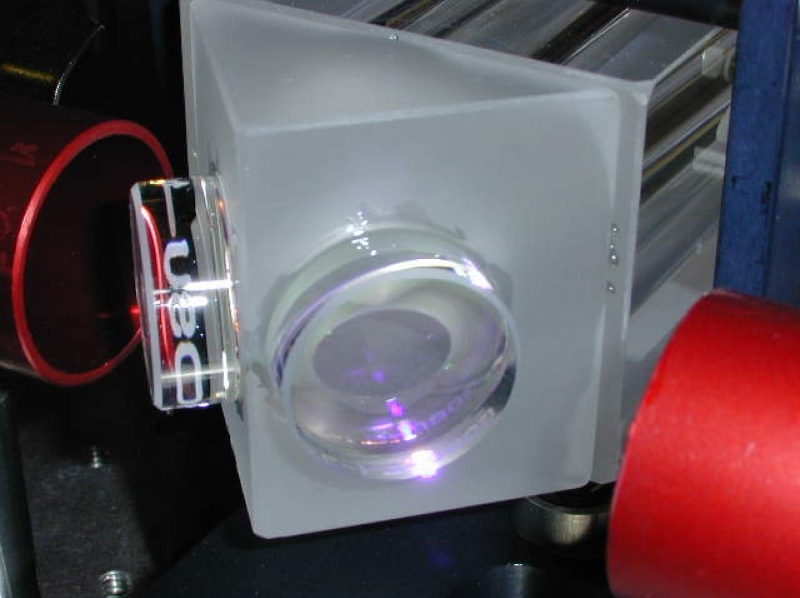 This Pre-Mode Cleaner shows a fine ground prism block but subsequent units utilized a polished block and prism and all parts were optically contacted together instead of cementing. A kinematic mounting base was also designed and fabricated for ease of installation on the PSL table. Here is a closeup of the prism end of the Pre-Mode Cleaner showing the two optical flats bonded to the surfaces. Looks like the laser was operating.